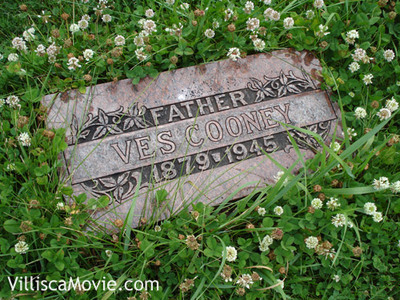 Sylvester (Ves) Cooney played a small, but interesting role in the drama surrounding the Villisca murders. After crowds of gawkers had passed through the house on Monday morning, authorities regained control of the chaotic murder scene. Onlookers were pushed into the street leaving the bodies to lie in relative peace until County Coroner A. L. Linquist released them to the morticians after the bloodhounds finished their night run. Consequently, it was nearly midnight when the undertakers removed the victims and the Moore house was locked. Montgomery County Sheriff Oren Jackson, who was in charge of the house, gave Villisca City Marshal Henry (Hank) Horton a key and instructed him to have it cleaned and fumigated. Hank hired Ves to do this onerous job. Ves in turn hired a young helper, Carl Petersen, and contracted with “Kettle” Overman to bring his dray wagon down to the Moore house. As an aside, the 1917 grand jury was particularly interested in Ves’ testimony regarding bone in the bed since Bert McCaull’s flashing a piece of Joe’s skull around his pool hall was a key point in Detective J. N. Wilkerson’s case against Senator Frank Jones. After the initial inspection, Hank left Ves and his helper Carl to the task. They first cleaned the downstairs bedroom where the Stillinger girls were found. The mattress with its soiled bed clothing inside were rolled up and taken out the front door. The floor and walls were then scrubbed. By this time young Carl had had enough. Saying, “I cannot stand it,” he left for the front yard while Ves went upstairs to finish the job. 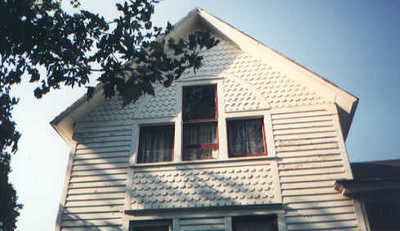 The distinctive three-window set in the second floor children's bedroom was removed to allow the mattresses to be pushed out to the ground. Ves had cut several pieces of wire found on the premises and now bound the upstairs bedding into bundles which he stacked in the dray wagon. He and “Kettle” than rode to the town dump where he spent half a day burning these pathetic mementos of the Villisca axe murder. This finished Ves’ contribution to the murder story. Certainly his life contained days more pleasant than this bloody one in June 1912, but it is doubtful he experienced a more memorable day. Born on a farm outside of Villisca in 1879, he married in 1905 and left Villisca in 1918. He and his wife lived in various western Iowa towns ending up in Glenwood where he was a deputy sheriff for 16 years. He died on June 16, 1945, at the age of 65. In death he was returned to Villisca. In the cemetery, his simple tombstone reads, “Ves Cooney” revealing, one suspects, a lifelong resentment of his given name "Sylvester". Indulge me as I include a short final aside. I have always envisioned the Villisca tragedy as a vehicle for a narrative film. The story contains dozens of visual elements that cry out for a visual treatment. Among these scenes none would be more compelling than Ves Cooney’s cleaning of the murder house. Any director worth his or her salt would combine scenes from the funeral with Ves’ house cleaning. Shots of the caskets being loaded in the town square, cutting to Ves heaving bloody bedclothes onto the dray wagon would be very compelling. Finally, seeing the sad funeral cortege dissolve into Ves and “Kettle” atop the dray wagon as it plods to the burning dump would make a great cinematic sequence. Unfortunately, Hollywood is obsessed with Batman and special effects, so I must content myself with books and lectures.